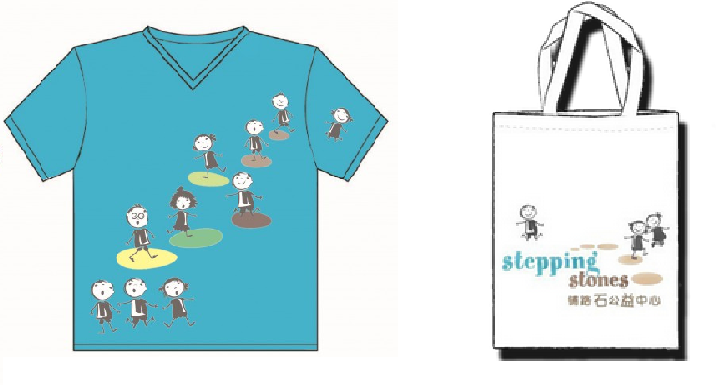 Please buy a Stepping Stones T-shirt or a cotton shopping bag to help us raise funds to sustain our work. The T-shirts and bags are a great way to represent your experience with Stepping Stones and volunteering in Shanghai. We have limited quantities so order yours soon! 1. Courier cost included in PayPal transaction (Shanghai, Zhejiang, and Jiangsu). 2. For delivery costs outside of Jiangsu, Shanghai and Zhejiang, and from abroad (including Hong Kong, Macau and Taiwan) please contact Eva Hua at admin@steppingstoneschina.net.